When Manticore of the Gauntlet enters the battlefield, put a -1/-1 counter on target creature you control. 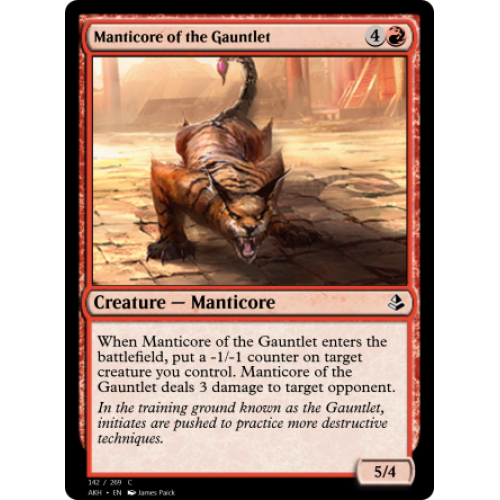 Manticore of the Gauntlet deals 3 damage to target opponent or planeswalker. In the training ground known as the Gauntlet, initiates are pushed to practice more destructive techniques.